Trammell Crow, the developer, will turn the former site of the Green Water Treatment Plant into a high-rise project with shops, eateries, offices and housing. The project is expected to cost $500 million and Trammell Crow will pay the city $24.4 million over several years to purchase the lot. 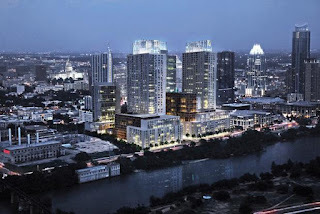 The project is expected to break ground in early 2013, will encompass two towers of at least 30 stories tall and will contain 826 apartments, a 17-story hotel, a 28-story office tower and over 80,000 square feet of retail space. The project ran into a lot of objections from activists who wanted Trammell Crow to save several large trees on the site, pay workers a "living wage" and make sure enough affordable housing was available on site. In the end, Trammell Crow agreed to allow safety monitors at least twice a month during construction, to aim to hire at least a fifth of its workforce from local training programs and pay them at least $16 an hour, and to work with Austin's arborist to try and build around some of the big trees. 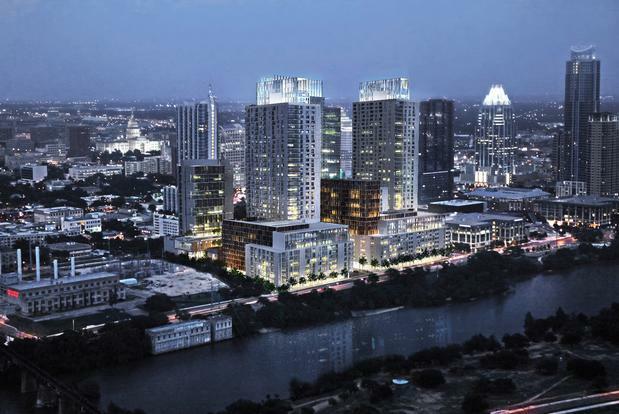 In addition, they agreed to rent at least 10 percent of the rental housing at amounts affordable to those earning less than 80 percent of Austin's median family income and will keep those rents low for 40 years at its own expense. The project is expected to bring in $112 million in property taxes to the city over the next 30 years. 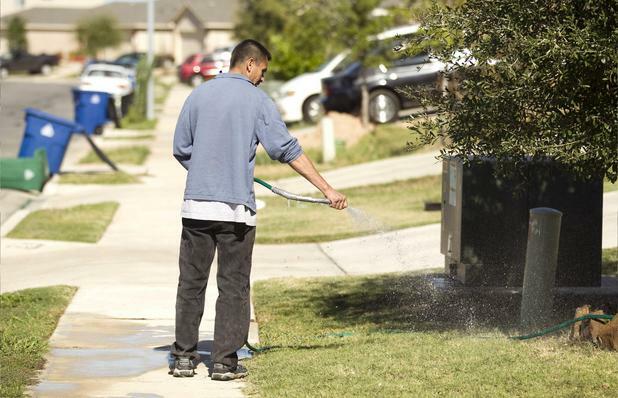 New Watering Restrictions are being mulled over by Austin Utility Water Managers. Although Austin has seem some good rain recently, long-term drought is still being forecast by all the computer models. After last year's water usage almost hit a record low, despite it being the hottest and driest year Austin's ever seen, city officials are looking to cement lawn watering restrictions for a repeat performance, The Statesman.com reports. The first of the big changes proposed are one that would allow users of drip irrigation systems to water as often as they'd like. Drip irrigation is the most effective way to water, because it creates much less runoff or water evaporating. Small hoses with holes are placed along or below the ground, allowing water to seep directly into the dirt. These systems cost more than sprinklers, but are much more effective at keeping trees from dying because they apply water directly to roots. The second major change is that the utility wants to make lawn watering restrictions permanent, regardless of the water levels in the lakes supplying Austin's water. Under those, watering would never be allowed more often than twice a week. They're also proposing to set Stage 1 restrictions, where watering is allowed twice a week, to kick in when lakes Travis and Buchanan are at 1.4 million acre-feet and Stage 2 restrictions, with once a week watering, to begin at 900,000 acre-feet. The Utility also proposes to decriminalize water violations and have any fines added to a violator's monthly water bill, instead of being sent to Municipal Court. Even with a drip system, users could still be fined if they water the pavement or create standing pools of water. Looking for Austin Apartments for Rent so you never have to worry about watering restrictions, no matter what they are? Austin Apartment Specialists can help!